Love cookies? Crispy, crunchy bites loaded with the health benefits of oatmeal and whole wheat flour. If this isn't enough, the recipe adds a flavor of coconut to make flavorful coconut cookies.... Add sifted flour and coconut. Mix well. Roll into balls and press flat between hands (the flatter the crunchier). Place on greased baking trays. Allow for a little spreading. Mix well. Roll into balls and press flat between hands (the flatter the crunchier). Preheat oven to 350 degrees F (175 degrees C). In a large bowl, cream together the butter, brown sugar and white sugar until smooth.... They are a very crispy/chewy cookie (That’s an oxymoron, I know. But they are crispy when you bite into and then you get to the coconut which makes them chewy). But they are crispy when you bite into and then you get to the coconut which makes them chewy). 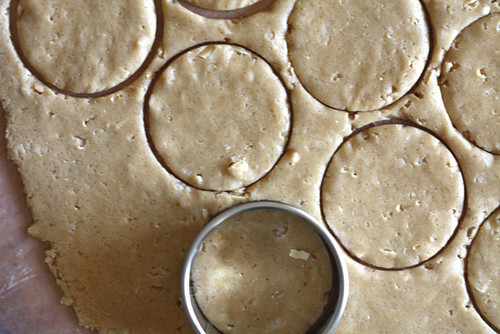 Spread cookies into 2 to 3 inch circles about 1/8-inch thick. Sprinkle with coconut and bake 6 minutes or until slightly browned. Allow to cool completely on the baking sheets. Carefully peel from... Posted in Cookies and Biscuits, Vegetarian Tagged Coconut Biscuits, Coconut Cookies, Crisp Coconut Biscuits, Crisp Coconut Cookies, Crispy Coconut Biscuits Author: Liz I love everything food: eating, cooking, baking and travelling. 16/04/2011 · These cookies are light and crispy, with a nice coconut flavour. If you love coconut, if you love crispy cookies, you will love these. And they are quick and easy to make. Cookies definitely make me happy, especially coconut ones. My family makes me happy, a good cup of coffee, driving with the windows down and singing, reading, cooking and baking! My family makes me happy, a good cup of coffee, driving with the windows down and singing, reading, cooking and baking! These Crispy Coconut Cookies are delicate and will stick easily. Sift coconut flour , sugar and salt in a medium-sized bowl. Fold in the beaten egg whites and melted organic extra virgin coconut oil until all ingredients are well incorporated. Crispy cookies made w/ coconut butter & zero flour! 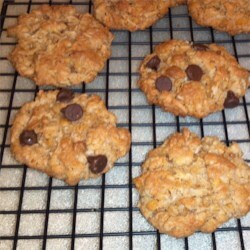 These cookies have a true "buttery" flavor and are stuffed w/ shredded coconut & dark chocolate chips. Gluten-free, paleo, vegan, and refined sugar-free!